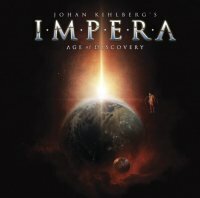 Johan Kihlberg's band Impera have recorded three albums to date which featured Kihlberg on drums, Tommy Denander (guitars), Matti Alfonzetti (vocals) and Mats Vassfjord (bass). However, this isn't technically a new Impera album. Instead, it's more of a solo album from Kihlberg with a stellar line-up of guest singers and musicians helping out. 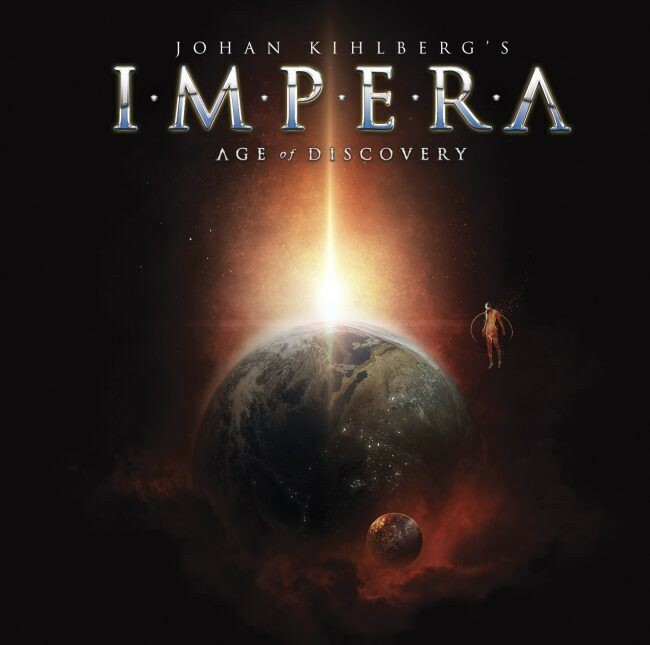 If you've heard the music of Impera (the band) before, you'll know they play a classy style Melodic Hard Rock and that is generally the case for 'Age Of Discovery', although Kihlberg has opted for more of an occasional AOR approach this time and, on the whole, it does pay off. The first thing that that is great about this release is the vocal talent that has been used for the songs. It doesn't get better than having the likes of Michael Sadler (Saga), Goran Edman (Karmakanic, Signum Regis), Nils Patrik Johansson (Astral Doors, Ex-Civil War), Nigel Bailey (Three Lions, Bailey), John Norum (Europe) and Mick Devine (Seven) does it? When this vocal collective prowess is married to the musicianship of the Impera guys, Mattias Eklund (Freak Kitchen), Lars Chriss (Lions Share) and Anders Rybank (Coastland), then you know what you're going to hear is going to sound great. I'm particularly partial to tracks like 'That's The Way That Life Goes', the AOR meets Hard Rock of 'Fear' (where Devine and Johansson combine to great effect), the moody 'The End Of The Road' which is juxtaposed by the bouncy Summer-like riffs of 'Just A Conversation', 'The Right Stuff' (featuring Bailey who does a superb job) and the Sadler song 'Why Does She Care' (any chance to hear this guy sing is a boon) which has a Saga-like sound to the hook-line. As "solo" albums go, Kihlberg has come up trumps with 'Age Of Discovery'. If a set of classy songs that are played by some wonderful musicians and topped off with some of Melodic Rock's best singers sounds good to you, then this is a release you should investigate thoroughly.